Why our web site design services are so affordable ? Due to the current economy many companies have looked into outsourcing their software development and web site design works to an offshore provider. What they have found is that the market is crowded and finding the right and affordable outsourcing provider a complex decision. Economical situation in our country allow us to provide high-quality web site design and development services at a very affordable price level. 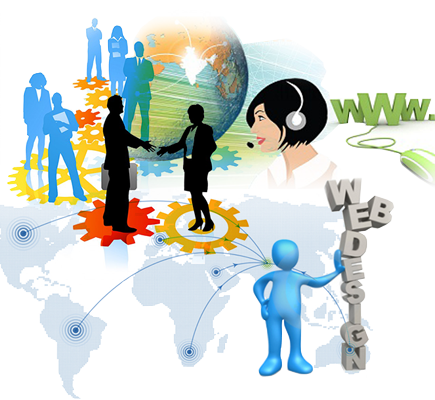 Our web site design and development rates are 30%-60% lower than United Kingdom or Unites States companies. We specialize in the outsourcing of business processes that create value for our clients. Utilizing differences in the time zones across the globe, we have developed an effective project management methodology that enables them to run their business processes round the clock. We help our clients optimize business processes enhancing agility and flexibility of their operations at substantially lower cost structures. While Traditional outsourcing concentrates on non-core tasks being shipped out, Mousebiz Infotech outsourced web & softwaredevelopment is targeted at the core tasks, the more critical part of your organization. Traditional offshore development is promoted on the premise of price wars alone, while Mousebiz Infotech offshore development is built on the idea of having a skilled knowledge force at a remote location with suitable original costs. The key to successful offshore outsourcing for your project lies in the selection of an experienced & technicallyqualified offshore web development service provider. Mousebiz Infotech is a flexible organization and has policies, which are to the highest degree customer-centric. An Offshore development partner must satisfy a number of critical technology, management and business criteria. Mousebiz Infotech has all the essential ingredients of a successful software out-sourcing partner.